Here are a few of our favorites we think you'll enjoy - give them a try! The Virginia Diner opened in 1929 as a refurbished railroad dining car along a dusty highway in southeastern Virginia. 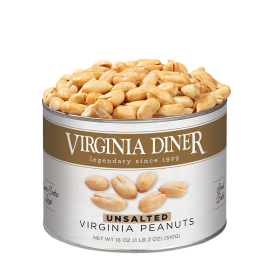 Established in the heart of Virginia Peanut country, it was only natural that Virginia peanuts ended up on the menu. 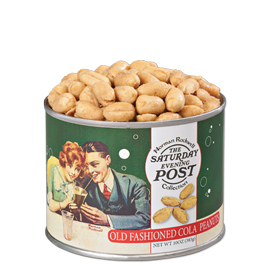 Today, Virginia Diner super extra-large Virginia peanuts, seasoned nuts and chocolate candy confections are available for home delivery across the country. 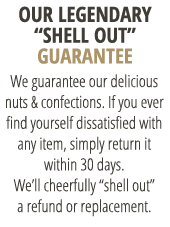 Wholesome and healthy, enjoy them yourself, or send them as a gift. We have seasonal gift samplers, and we offer 'Create Your Own' gift sets too. And for sports fans we have our exclusive officially licensed Collegiate tins so you can always show your support for your favorite college team! 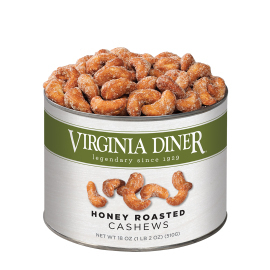 Known as "The Peanut Capital of the World"™, the Diner truly is a "Legend in a Nutshell"™. Make us a tradition with your family and thank you for your continued support.